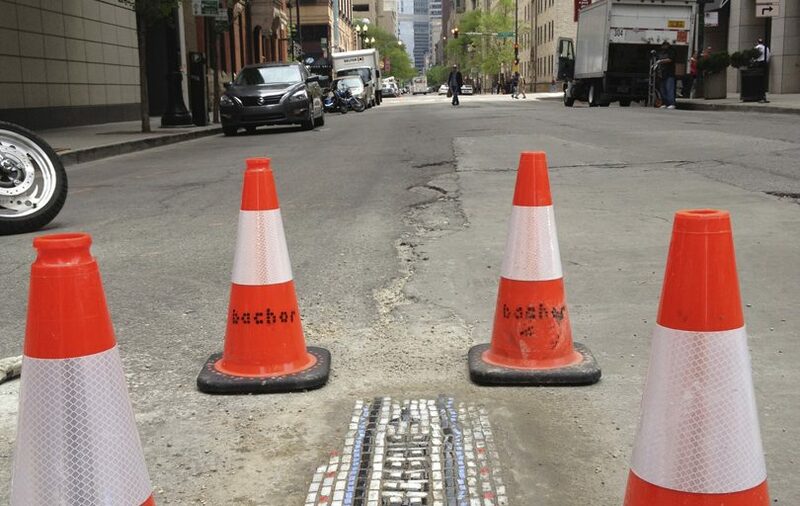 Chicago mosaic tile artist Jim Bachor is much more than the Picasso of potholes. Here are some of the creations of mosaic tile artist Jim Bachor. Besides filling Chicago chuckholes with works of art, Bachor has completed mosaic art projects for the Chicago Transit Authority and other organizations. A trip to Italy in the late 90s, where he volunteered to work on a Pompeii archaeological dig, cemented Bachor’s interest in art that stands the test of time. In Italy, Bachor learned how to produce murals via the classic Ravenna method. Go to this site for more information on Jim Bachor’s creations.